We propose to contribute to this vital Riverfront development plan by developing a 6km navigable channel connecting the Holy River Ganga’s current course, with the at present stagnant waters laying near the old course. This will remove the dirty, unhygienic conditions which provide a haven for mosquito infestations, and replace them with a clean 6km stretch of canal, which will not only contribute to improved health and economic conditions, but also possibly relieve some traffic in Old Patna, as the canal would be navigable (see attachment 1aiii). It is envisaged that this project would form a Model Project to support the National Ganga River Basin Environment Management Programme (NGRBEM) and will be in collaboration with ETI Dynamics and their 7 Indian Institute of Technology partners. Click here to see a detailed map outlining Project 1b. GNNSJ India is committed to working with the Government of Bihar, INTACH, all relevant agencies and the Takhat Management Committee to the realisation of Project 1b. 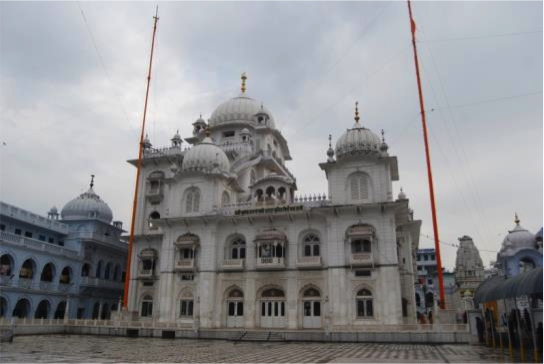 beautification of the Takhat’s Guru Darbar using gold gilding copper plates and white marble cladding, aesthetic fresco painting, gold leaf plaster of paris, stainless steel / brass railing and pleasing lighting. Also provision of enhanced acoustics for quality keertan transmission. Provision of basement underground car parking, and ramped access through the existing Darshani Deori as best as is possible, within the Takhat’s boundary constraints. Planning and assistance in the provision of temporary or permanent structures (if allowed) on some of the Diara Land made available on the banks of the Holy River Ganga due to its change in course, in order to facilitate the safe shelter, feeding, bathing and movement of the estimated 5 million visitors. 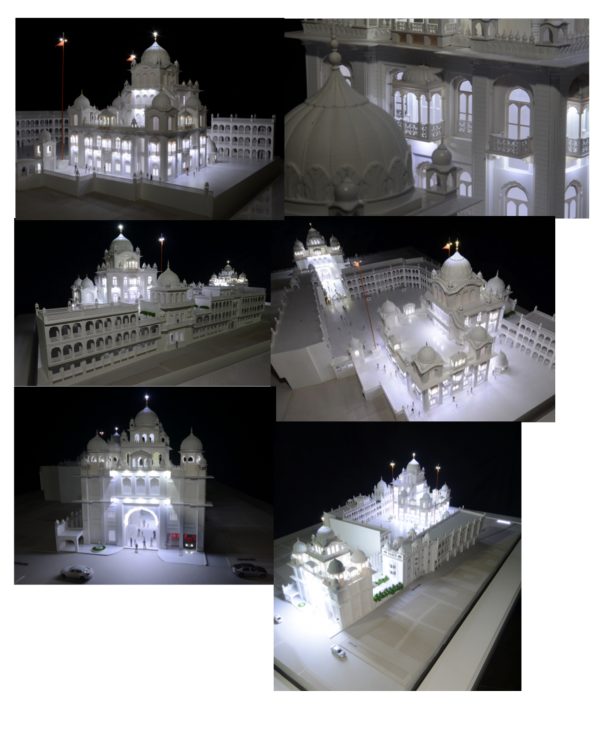 Click here to see photos of a detailed 1:100 Scale Model of the proposed Work, procured via Kar Sewa, as a labour of love.